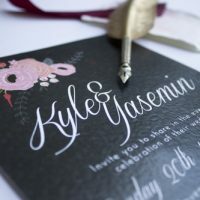 The wedding invitation is one of the first indications of the style and theme of the wedding and should reflect the personalities of the couple. 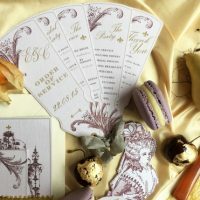 Paper House Design offer a truly unique and bespoke service, designing and creating a wide range of luxury wedding stationery. 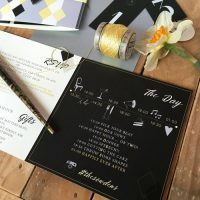 From, save the date cards and announcement cards, through to thank you notelets, they pride themselves on creating the perfect stationery to reflect their client’s tastes and requirements. 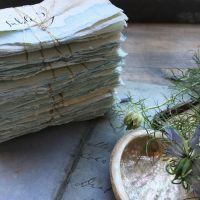 If you are looking for a whole stationery wardrobe they can also create; place cards, menu cards, place settings, wedding programs, invitations for pre-wedding celebrations, and much more. Given that the designs are unique to each couple, quotes are provided based on your requirements. Throughout the design process, they welcome regular feedback from clients to ensure that the finished designs exceed your expectations. For inspiration and testimonials take a look at the portfolio of completed designs on the web site. To discuss your needs please call 07867419260 or use the online contact form.